From delays and fare increases to navigating foreign cities and language barriers, there are seemingly endless challenges for business travellers and Legal PAs tasked with booking travel. 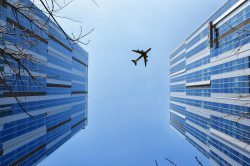 In recent years, there have also been incidents domestically and worldwide, bringing concern about employee safety and security to the forefront of business travel management. Such challenges, coupled with financial pressures and the need to respond to clients at the drop of a hat, have given rise to new technology aimed at solving these problems and supporting employee duty of care. When it comes to duty of care for travelling employees, the most common mistake is simply not knowing where employees are – all too easily done with busy schedules and last-minute bookings. TSheets and myGeoTracking are two handy platforms that Legal PAs can use for GPS tracking of employees on the move. They are invaluable during unforeseen events. There are more sophisticated military-style tracking programmes available, from organisations such as International SOS, for travel to the most sensitive areas of the world. International SOS specialises in travel security, has access to cutting-edge technology and will ensure efficient provision of documentation or evacuation if required. It seems you’ve got to be really lucky nowadays not to be hit by some kind of delay at the airport, but App in the Air makes the entire experience significantly less painful. This personal flight assistant will track your flight status, monitor weather conditions and delays, and provide recommendations on the best airport restaurants, where to charge your phone and where to access free Wi-Fi, ensuring the most productive use of business travel time. Surprisingly, only a handful of cities worldwide cater well to international travellers when it comes to language translation on signage. East Asian cities in particular try their best, but a lot is lost in translation. This leads us to iTranslate, a gift to anyone travelling internationally and struggling with a foreign language. The app allows you to translate text or websites, start voice conversations or look up words, meanings and even verb conjugations in over 100 languages. Hopefully this means a few less embarrassing attempts at fumbled Cantonese conversation. Everyone has their preferred navigation app – the majority of people favour either Google Maps or iPhone’s Maps. Our choice, however, is Citymapper every time. Operating in 40 major cities worldwide, Citymapper is the ultimate app for commuters, helping them to navigate unfamiliar areas. Its real-time push notifications on travel disruption and recommendations on the fastest routes will keep you from tearing your hair out in rush hour. Whether you’re looking after travel for a team of four or 400, as a Legal PA, using the right tech can significantly improve efficiency and minimise hassle. Some may berate our dependency on technology nowadays, but if these new apps and advanced pieces of software can help ensure traveller safety and comfort while maximising business productivity, who are we to complain? Review Travel is an award-winning business travel management company founded in 1982, with offices in Cheshire, Lancashire and Hertfordshire. The team provides a bespoke service to a range of national clients, servicing the legal, construction and finance industries, among others. With over 200 years of combined experience between its senior travel consultants, Review Travel is able to provide a high-quality service in an ever-evolving industry. Review Travel is dedicated to investing in the latest technology and innovative systems, ensuring that its clients’ business travel experience is as efficient and enjoyable as possible. Covering all aspects of business travel, Review Travel provides a fully accountable costing system, meaning businesses never lose track of where their money is being spent.